l I’m such a seasonal makeup person - during summer I wore no eye makeup but now where in autumn, the eye makeup is where it is at. I find I’m going towards all of my palettes now it’s the colder season and I love it. Each season has its own colour palette almost and when it’s autumn, it’s all about the warm tones, oranges, browns and red and I lean towards them so much. I’m not a massive adventurous person when it comes to eyeshadow but I am trying to lean out my comfort size. To start with, the latest palette I’ve been leaning towards is the naked heat. 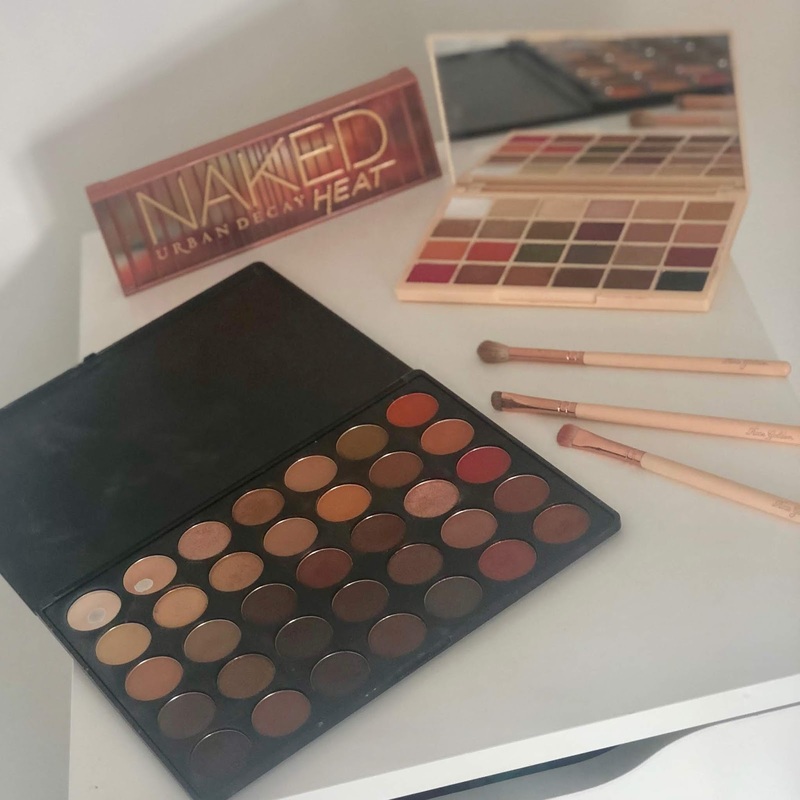 Ice mentioned this afew times on my blog as I won it in a giveaway and I’m so glad I did - I would never buy it myself but I love the shade range that it consists of - the mixture of oranges and warm reds all compliment eachother so nicely. I’ve had my trusty Morphe 35o for about 2 years now and I always go back to it. It’s too many shades not to! There’s such a variety of autumn shades you can do so many eye looks from subtle to full glam all in one place with the pigment there too. There’s no wonder this palette blew up when it did as it’s so worth the hype. this palette has taken me by storm. i never really use drugstore ones but when soph released this i knew i needed it. i am gravitating to it so much more now the weather is getting cold as its full of warm autumn shades that are prefect. for the drugstore price, the pigment is out of this world. I am loving autumnal eyeshadow colours and my favourites are rarely changing but as it’s get colder I lean towards warmer colours. I’d love to try more as my go to is a little collection of my all time favourites I’ve been using for awhile now. Great post! Love Morphe palettes for autumn! I love making up accord b to the season too. I want to try Morphe 350 too. I adore my Morphe 35O palette too. I find it's absoloutley perfect for this time of year! Great post! Always such great shares! I learn so much! Love it!